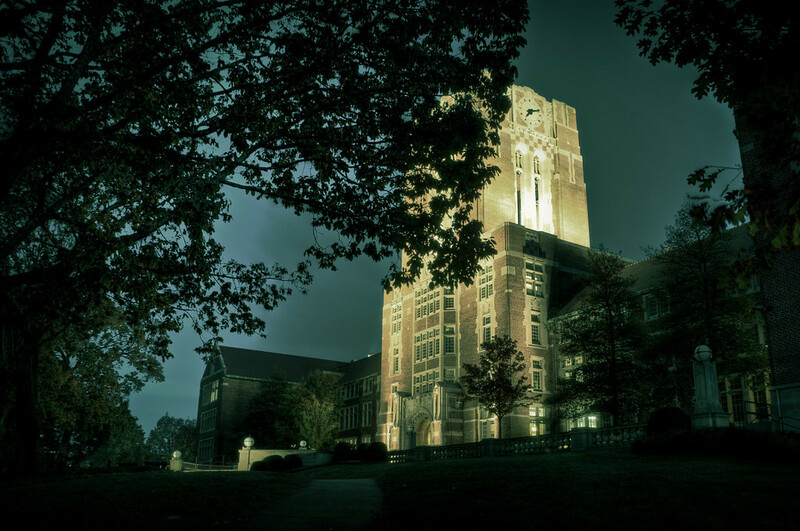 Ayers Hall, University of Tennessee | Just Shooting Memories! Several days ago, I had the pleasure of making a trip to Neyland Stadium at the University of Tennessee. Afterward, of course, I had to go exploring. I had the idea of taking some photos from the observation deck of the Sunsphere. Good idea until I made it to the observation deck. It was night and the inside glass is tinted gold and very reflective. However, on the walk, I went by Ayers Hall that sits atop “The Hill” at the University of Tennessee.